Tick off four unique new countries off The Baltic Sea by following this 10 day Baltic trip itinerary. 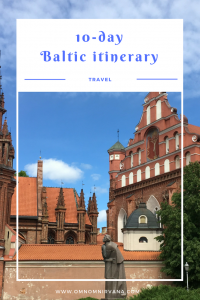 If you’re hoping to see one of the three Baltic countries then a one or two week itinerary is ideal for you. Here’s the perfect 10 day Baltic itinerary for anyone who’s hoping to see Lithuania, Latvia, Estonia and even a bit of Helsinki, Finland. Before heading jumping right in to the itinerary details, here’s a little information on the Baltic countries. The Baltic’s, as they are commonly known consist of three ex-Soviet former Nazi occupied countries that sit on the coast of the incredible Baltic Sea. All three of the Baltic countries, which are Lithuania, Latvia and Estonia are very similar in history and heritage, but completely unique in culture and tradition. The Baltics area is the ideal region to visit if you’re looking for accessible European travel and are hoping to tick more than one destination off your travel bucket list. The majority of European flights into The Baltics tend to fly to Riga, Latvia as it has the largest airport. Additionally, there are regular flights to Tallinn, Estonia and Vilnius, Lithuania along with some of the other larger cities in the region. Most budget airlines now fly in and out of the Baltics so the starting point of your trip shouldn’t matter. I’d aim to fly into Vilnius, Lithuania and out of Tallinn, Estonia or vice versa for ease of route planning; but flying in and out of Riga works too. For a budget flight expect to pay around €100- €200 return at the very most. There are bargains available and regular flights into the Baltic countries can be found for as little as €20-€60. Lux Express operates a bus service from Warsaw, Poland into Vilnius Lithuania. Over land this is likely to be your best and the most sensible option without needing to obtain a Russian visa for Kaliningrad or a Belarusian visa to take the train from Poland through Belarus to Lithuania. 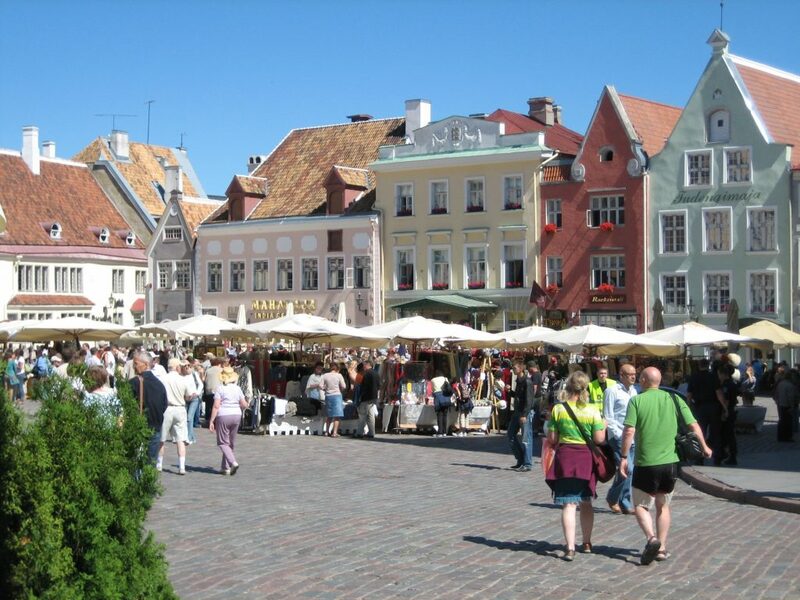 It is not uncommon for people to arrive in The Baltics on a cruise or ferry service over the Baltic sea, with the most popular entry point being Tallinn, Estonia’s capital city. Ferries leave regularly from Helsinki, Finland. It roughly takes 3-4 hours and can be pretty choppy during the colder months. Arrive in the southernmost Baltic state of Lithuania. We arrived in Vilnius by bus from Warsaw, Poland. We had spent the first few days of our trip in Germany and then in Poland before heading to Lithuania. It’s very possible to do this journey before heading to the Baltic region as Europe travel within the Schengen zone is very simple for EU citizens and Schengen visa holders. After a long day of travel we arrived in Vilnius eager to eat and sleep. We found our hostel (after a little confusion) down a road that had been completely blocked off for roadworks and maintenance. After a strange but exciting few minutes wandering around central Vilnius wondering if we were even in the correct country we eventually found the street of our hostel. We stayed at the popular ‘Jimmy Jumps House’ for 2 nights. Jimmy Jumps House is one of the well known party hostels in the Baltics. There are three that are famous in total but I’ll get on to that later. A dorm at Jimmy Jumps House dorm costs approximately €10 per night. We woke up early around 9:00am Lithuania time to ensure we had the entire day to get our explore on. I hate arriving into a city and missing a perfectly good day due to being tired so we literally forced ourselves to get up. Jimmy Jumps House offers free waffles for breakfasts to all guests, which is ideal for anyone travelling the Baltics on a budget. The first thing we chose to do was get some more information about the free walking tour. Generally free walking tours are offered by locals across Europe and I highly recommend them. Is there any better way to get to know a city than through the eyes of a local? I think not. The free walking tour leaves from the town hall at midday daily and can last for around 3 hours but it’s extremely informative and also quite fun. The tour guides are all employed by ‘Vilnius with locals’. The city of Vilnius is packed with incredible architecuture and history from World War Two and earlier. Vilnius has proud Pagan heritage that is explored during the walking tour along with the Vilnius Ghettos, where several thousand Lithuanian Jews sadly lived and died during World War Two. It’s easy to get lost in a city like Vilnius that is so cute and quaint, but also has so much history! It’s recommended to leave at least a €5 tip when taking part in a free walking tour in the Baltic countries. With the newfound knowledge of the city from the free walking tour, it’s easy to explore. We decided to check out a few bars and pubs and a few other notable buildings in the afternoon. That evening we had booked onto Jimmy Jumps House pub crawl, an absolute must if you are staying in Vilnius – you don’t have to be staying at the hostel to take part and you get to see some super cool venues including a very odd soviet style club that’s almost like a club but also like the inside of a house. Very retro, think floral funky carpets. Day 3 of the 10 day Baltic itinerary would also be spent exploring Vilnius and the small but edgy artist’s neighbourhood of Užupis. Learn about the history of Užupis, it has claimed its independence from Lithuania and is also a UNESCO world heritage site with its own law-like ten commandments. Truly fascinating stuff. Also don’t forget to try out the beer snacks in Lithuania – deep friend garlic bread smothered in melted cheese. Get used to this snack too because you’ll be seeing it a lot more in Latvia and Estonia. 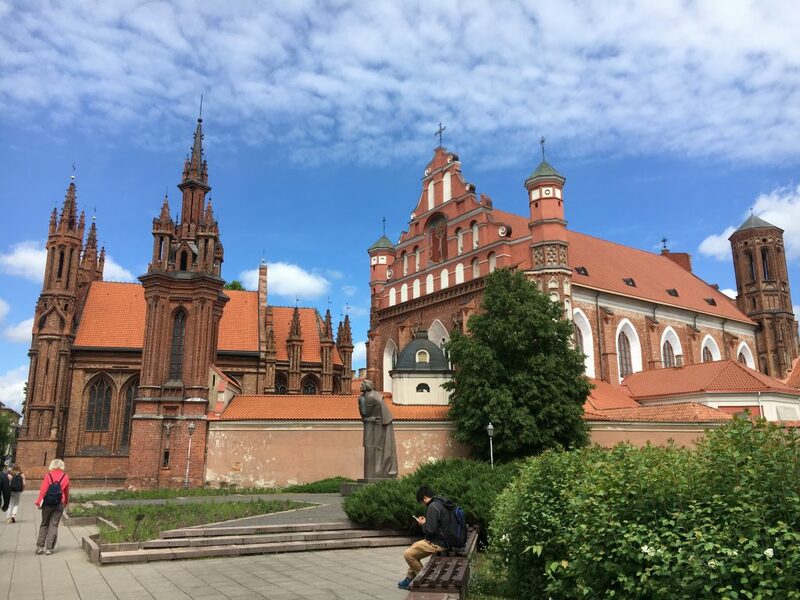 At the end of your final day in Vilnius take the bus to Riga, Latvia through Kaunus if you’d like to see an extra city in Lithuania as part of your ten day Baltic itinerary. Alternatively, spend one night in the coastal town of Klaipeda. Note that this is only recommended in the summer months. So depending on when you travel to the Baltic region, add Klaipeda to your ten day itinerary for the Baltics. The next country on my ten day Baltics itinerary is Latvia, with the capital of Riga being our first stop. We had booked an Airbnb in Riga and it was one of those cool self-service ones. We were staying across the bridge from the historic old town. The location is known as a student area called Āgenskalns. We liked this area due to being right on the edge of a large gorgeous park that we could spend some time in. But if I was staying in Riga again I’d spend some time in the city centre of the old town in one of the more upbeat hostels. As I mentioned earlier there are three big party hostels in the Baltics, one in each country. No ten day Baltics itinerary would be complete without a night in each of these notoriously fun hostels. The big party hostel in Riga, Latvia is The Naughty Squirrel and there’s a definite chance you’ll see some familiar faces from your Vilnius pub crawl there. Many people travelling the Baltics on a ten day itinerary choose to stay in all of these hostels. Get to know the old town – it’s stunning. There’s such a noticeable café culture in Riga, everyone sits out in the sun enjoying a beer or beer snack and the city itself is constantly alive in summer with the buzz of tourists in all forms. There’s a lot of wide green space in Riga and the parks are some the best places to just chill out and enjoy the weather. Take a free walking tour from the old town and explore some of the suburbs of Riga. The local guide will share with you all the best places to eat and drink. We took this tour which lasts about 2-3 hours and goes through Riga’s world famous market. We managed to find out some great restaurants through the tour guide and ended up eating at Street Burger on both the nights we spent in Riga. Great value and proper tasty food with veggie options! Food with a drink (alcoholic) is roughly €7-10. After spending the day on an adventure of what felt like the whole of Riga, we decided to check out a few local bars. Riga old town is the best for this as there are so many places to sit outside and drink. It gets cold in early spring but heaters and blankets are almost always provided for us chilly tourists. Beware of the stag do’s during your Baltics itineraries, many British and European tourist like to use the Baltic countries as stag do destinations and can often be known for being less than polite. Did someone say rowdy? Day 6 should be spent on the coast. We took the train from Riga to the coast which costs €4-6. Jurmala is the name of the stop, it’s a famous costal resort in Latvia and is often known for it’s popularity with Russian tourists. Spend either the day or night in Jurmala, because hotels and accommodationscan be pricier than staying in Riga. Take the popular Lux Express bus to Tallinn, Estonia this is the best way of getting around during your ten day Baltic itinerary. They are cheap and all come with free wifi and entertainment. They also do free coffee but I wouldn’t recommend it! Each of the Baltic capital cities Vilnius, Riga and Tallinn have a main bus station that Lux Express operates out of. Lux Express is very efficient especially if you are travelling on a budget. Once you have arrived in Tallinn via the Lux Express bus, head straight to The Monk’s Bunk party hostel. Upon arrival you’ll be greeted with a shot of ‘Black Balsam’ – a spirit native to the Baltic region and known give lethal hangovers if too much is consumed. You’ll also be asked to sign up for the nightly beer pong tournament like we were. I’m actually a decent beer pong player; my team mate (boyfriend) on the other hand is not. This is just one example of the fun things you can get up to whilst staying in a party hostel in the Baltic countries. Spend your first day exploring the old town of Tallinn. It’s pricey but budget gems can be found. Take part in The Monk’s Bunk pub crawl and games nights. We were fortunate enough to meet a great group of people whilst travelling the Baltics due to hostels like The Monk’s Bunk. Get to know Tallinn’s beauty and history be walking the medieval looking streets and climbing to the top of the bell tower. 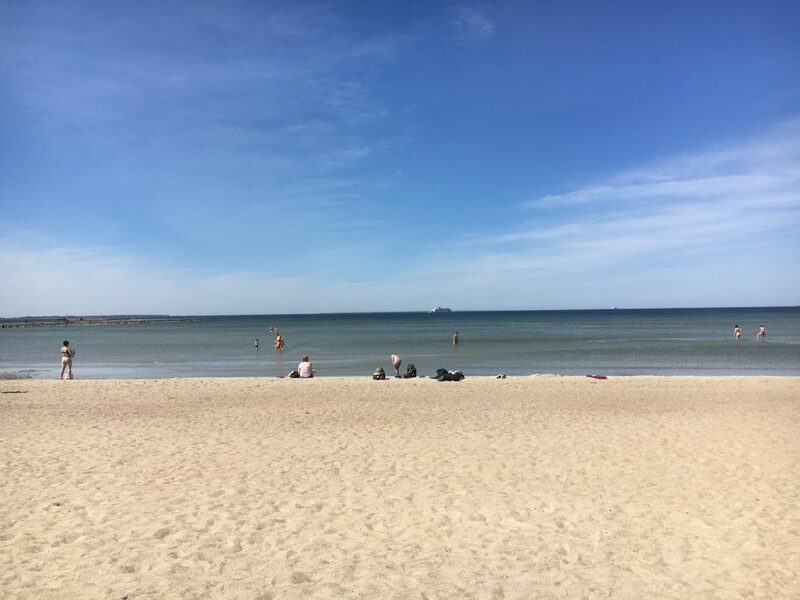 As Tallinn sits on the coast of the Baltic Sea, you can spend part of your ten day Baltic countries itinerary enjoying the simplicity of a beach day. Take the bus from the main city of Tallinn expect to pay around €3 for the twenty minute journey. The bus stop/station is underground. I would recommend picking up one of the free ‘With Locals maps’ available at most hostels in Tallinn or the tourist information centre. We asked the reception at The Monk’s Bunk hostel to mark town the best beaches in Tallinn in addition to the neighbouring bus stops and the stations as it is very difficult to find. We also ended up asking for directions from some locals. The With Locals maps are available in all of the Baltic countries and are completely free. It’s definitely worth grabbing one from each of the Baltic States you visit as they have top tips and recommended bars, restaurants and activities to do. Take the bus from Tallinn to one of the close beaches and you will not be disappointed. The soft yellow sands compliment the clear Baltic Sea and many of the beaches in Tallinn are framed by woodlands making the scenery perfect. Take your camera and enjoy the city of Tallinn skyline from the beach. Boats can be boarded from Tallinn to Helsinki, and tourists travelling this region often choose to head to Scandinavia for a day adventure. Alternatively if you plan on travelling north for loner why not try Russia? Ensure you have a visa first as Russia is not part of the Schengen agreement. There you have it, the best way to spend ten or more days travelling through the Baltic capitals of the Baltic countries! Looking to see more of Europe? Check out my Prague,Budapest and many more itineraries here. 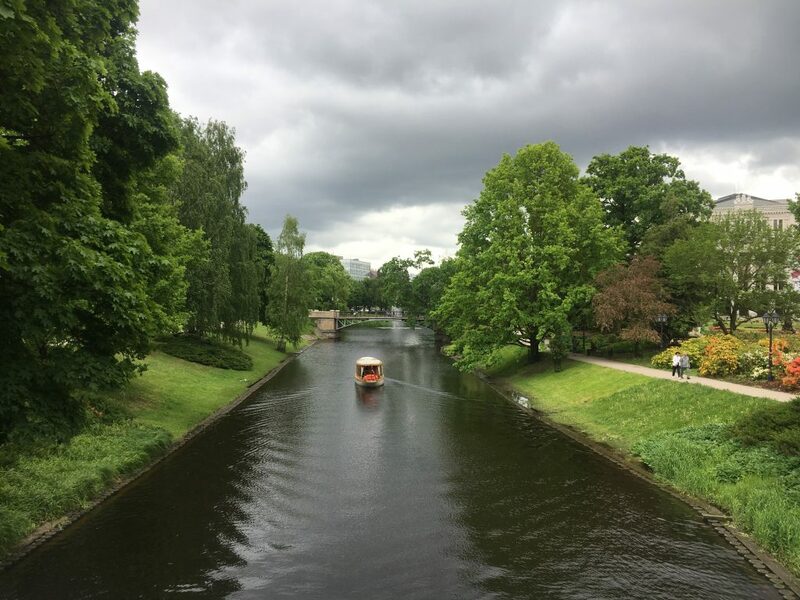 This 10 day Baltic itinerary is a guest post by Bryony Clapperton of Travels and more. You can follow her on Facebook or Twitter.